Chakras are human energy centers that run in alignment to our spinal columns. These centers act as gateways to our spiritual and physical body. According to ancient studies, each of the seven chakras has its own tonal center. By playing specific tones or combinations of tones which resonate with each chakra, we can help restore physical, emotional, mental or spiritual balance. 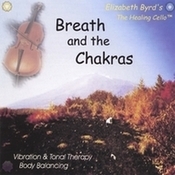 This recording follows the Western musical scale as the centering tone for each chakra. 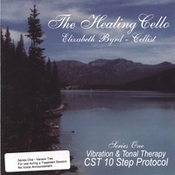 The Healing Cello - CST 10-step Protocol The cello tones on this recording have not been mechanically enhanced or digitally altered in any way. This CD was recorded live in the HealthPlex at the Upledger Institute while three therapists were performing the CST 10 Step Protocol.